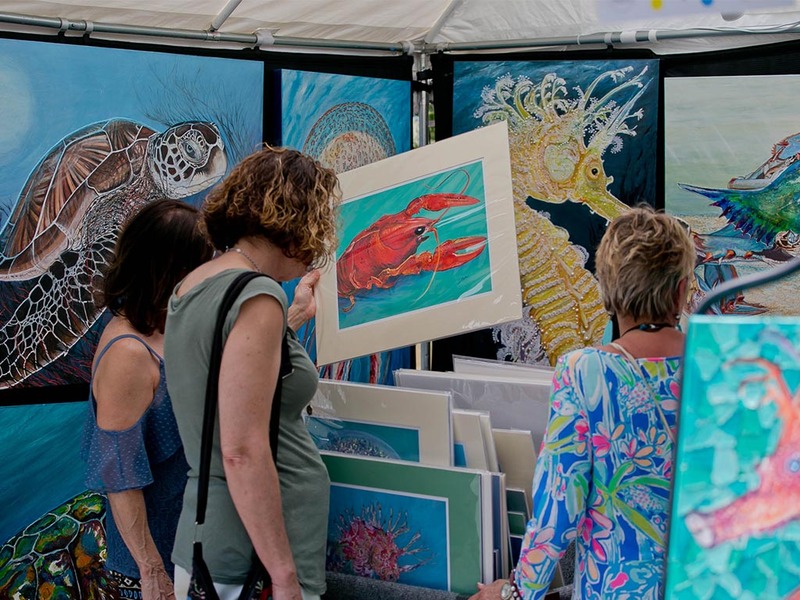 The 31st Annual ArtsQuest Fine Arts Festival, a Mother’s Day weekend tradition, takes place May 11th-12th at Grand Boulevard in South Walton, Florida. Produced by the Cultural Arts Alliance of Walton County, ArtsQuest provides an opportunity to view and purchase original art from over 200 artists from around the country while also experiencing live musical entertainment, children’s activities, student exhibits and great food & beverage options in the Town Center of Grand Boulevard at Sandestin located within Miramar Beach. ArtsQuest awards cash prizes to artists in the categories of ceramics, fiber, glass, jewelry, metal, mixed media, oils & acrylics, original digital art, photography, sculpture, wood and works on paper, watercolor, printmaking, pastels, pencils, and ink. For more information about the ArtsQuest Fine Arts Festival see ArtsQuestFlorida.com. The event is a free rain or shine event and open to the public. 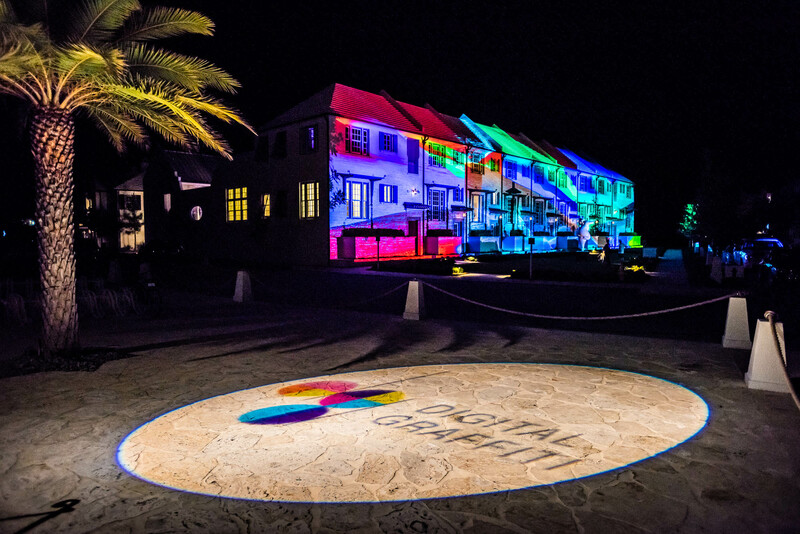 The 13th Annual Digital Graffiti festival takes place in Alys Beach May 17th-18th, 2019! Digital Graffiti at Alys Beach is an innovative and dynamic event that celebrates the intersection of projection art and architecture. During this two-day event, international artists display their original digital art upon the iconic white walls of Alys Beach, transforming the SoWal town into a vibrant canvas of motion, color, light, and fun! Digital Graffiti draws digital artists from across the globe to explore how their fluid forms connect with people and architecture to create spontaneous and wondrous experiences. When the sun goes down, the lights come up as Digital Graffiti kicks off the 12th annual festival at Alys Beach on Friday evening. Friday night features the 2019 projection art installations, food trucks, and vendors along the festival footprint, this opening night street party winds through Alys Beach all the way to Caliza Restaurant where attendees will be greeted with music, à la carte food and beverages, and fun for the whole family. Saturday evening of Digital Graffiti is an all-inclusive food and drink experience, with stops along the festival’s path featuring samples by local and regional chefs, winemakers, distillers, and breweries. The evening culminates with desserts, spirits, more art projections, and a live DJ around the pool at Caliza. This event is 21+. Digital Graffiti 2019 tickets are available at digitalgraffiti.com or sold locally at Alys Shoppe, Alys Beach Bike Shop, and Neat.